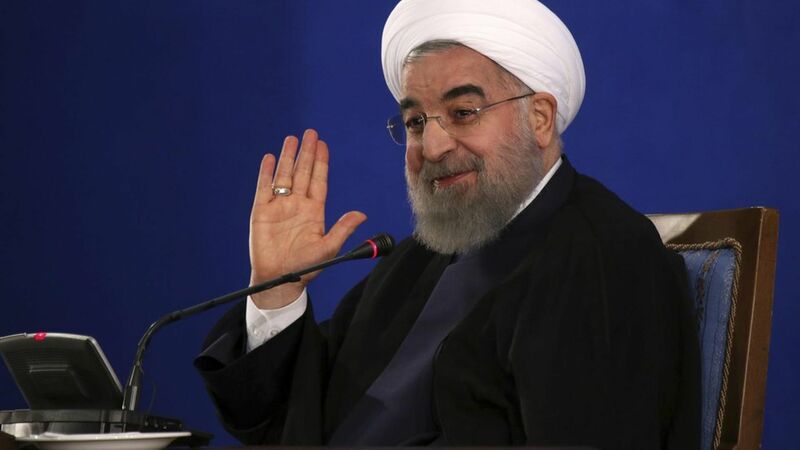 President Trump said that Iran "must never be allowed to possess a nuclear weapon" during a meeting with Israeli Prime Minister Benjamin Netanyahu today — and newly reelected Iranian President Hassan Rouhani fired back, per AFP. On Trump's Saudi Arabia visit: Rouhani called it "just a show with no practical or political value of any kind…You can't solve terrorism just by giving your people's money to a superpower." On American foreign policy: "When they attacked Afghanistan, they made a mistake. When they attacked Iraq, they made a mistake. When they imposed sanctions on us, they made a mistake. If you know of a case where America acted correctly, you tell me." On Iran's self-defense: "Our missiles are for our defense and for peace, they are not offensive. Know that while there is a technical need to conduct missile tests, we will do so and we will ask the permission of no one."